Hong Kong Air Cargo Terminals Ltd (Hactl) won the Best Station award at the Pride of Ground Handling Awards. 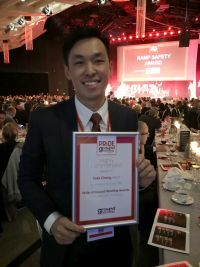 Hactl ground services supervisor Chung Cho Sim Felix (pictured below) was also highly commended in the Rising Star category. The new awards celebrate excellence in ground services, and recognise those individuals whose hard work and professionalism underpin the global aviation business.